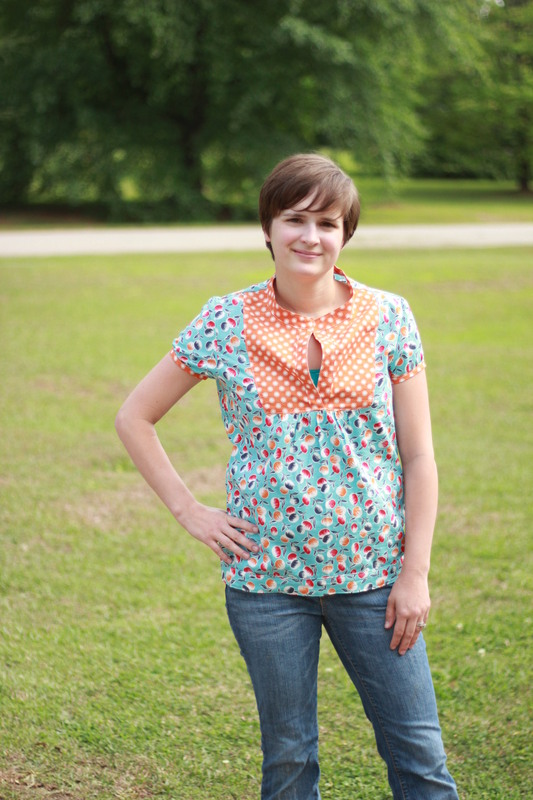 I had so much fun working on some selfish sewing for Rae’s Spring Top Sewalong 2012. I have never had much luck making clothes for myself but after attending a workshop by Rae and Karen Lepage (more on that later), I was inspired to try my hand at it again and am so happy that I did. 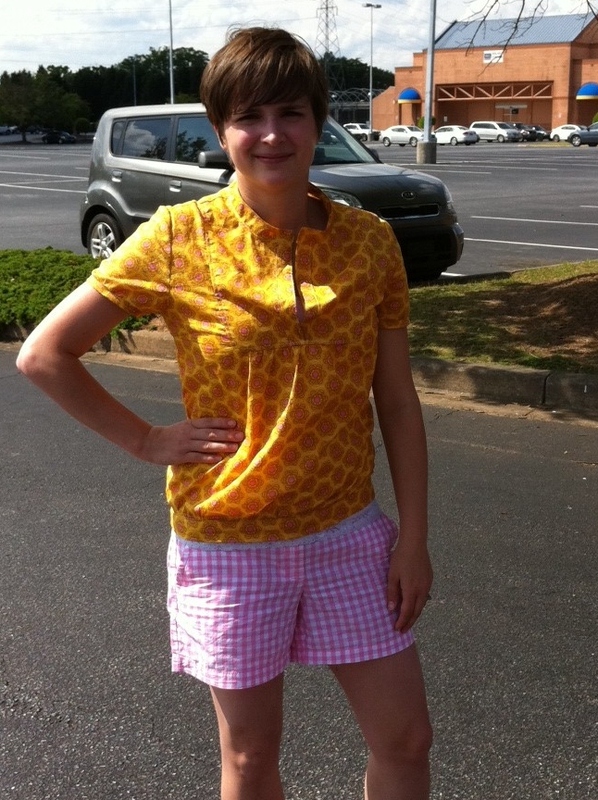 This was an excuse for me to purchase the Wiksten Tova top that I’ve seen popping up all over blogland. 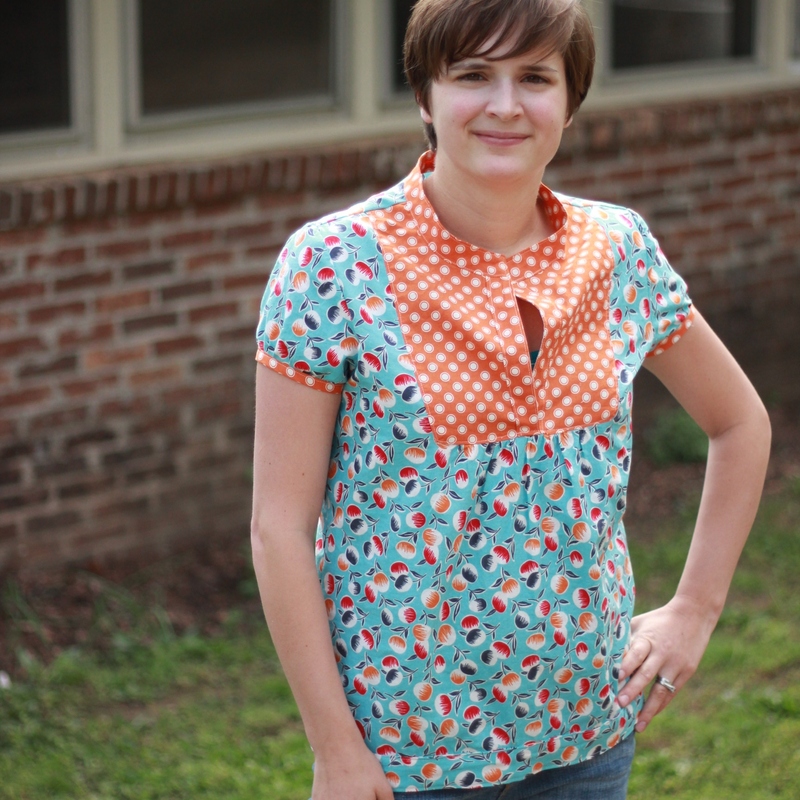 I made 2 versions: one in Anna Maria voile and the other in some DS Quilts cotton. I really enjoyed my first time working with voile and hope to get my hands on some more soon! I modified the pattern a bit to suit my needs. I shortened the sleeves from 3/4 length to short capped sleeves. I also added a gathered band around the hem. The original top is fairly billowy and that doesn’t look too great on my post-baby figure- I try to avoid all appearance of maternity tops to reduce suspicion of curious individuals who can’t wait for baby number 2 (Hi, Mom:). I’m really happy with how these turned out and I see more in my future. I will definitely make a 3/4 sleeve one when fall rolls around. Here’s the finished pics of my tops. My yellow tova- Love how light and airy the voile is! The day was rather sunshiny so excuse my squinty eyes. The DS Quilts cotton Tova. I love Denise Schmidt’s fabric lines and was happy that I had an excuse to buy some for myself. 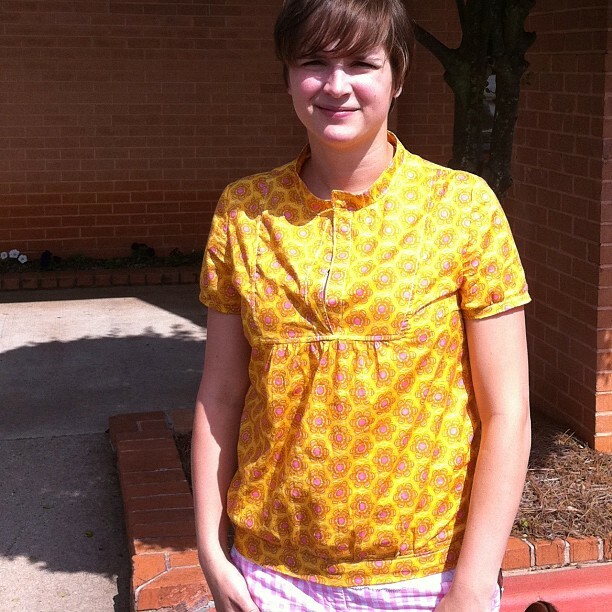 This entry was posted in Clothes, Sewing by oliver's fancy. Bookmark the permalink.